This Demonstration constructs a triangle given the length of its base, the length of the altitude from to and the difference between the angles at and . This is not one of Plemelj's original constructions, but a new one based on his equation , where and . The modified equation is , which can be read as the law of sines for a triangle where the sides of length 1 and are opposite the angles and , respectively, or, multiplying by , that the sides of length and are opposite the angles and . 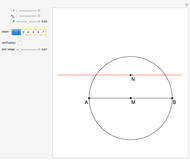 Step 1: Draw a straight line of length and a line parallel to at distance . Let be the midpoint of and the point on just above . 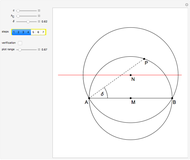 Step 2: Draw a circle with center and radius . Step 3: Draw the ray from at the angle δ from to intersect at the point . 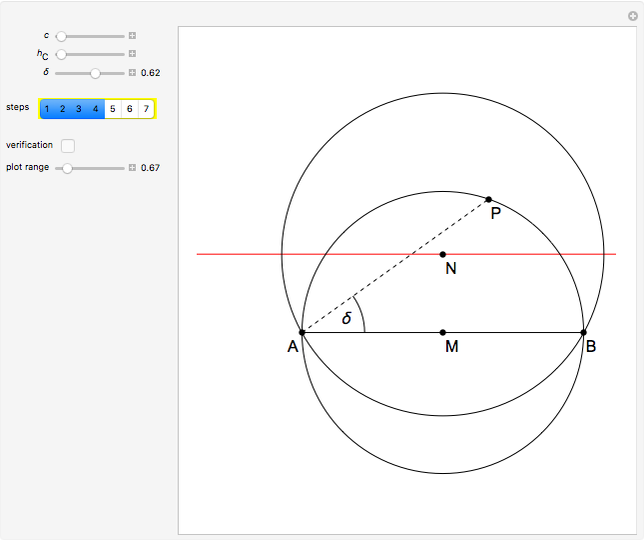 Step 4: Draw the circle with center and radius . 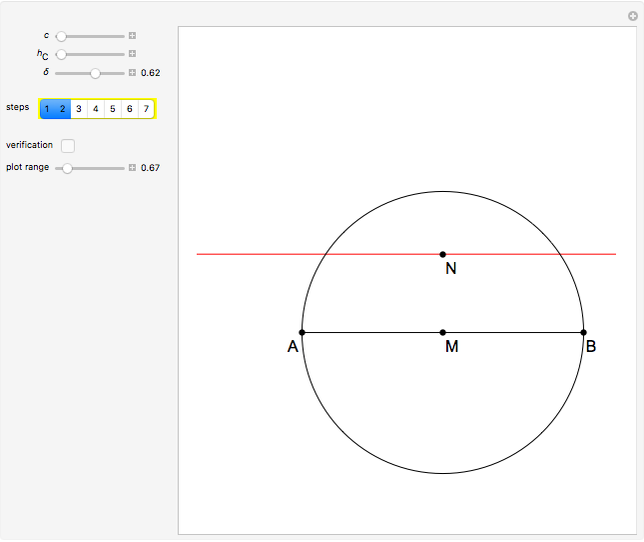 Step 5: Measure out a point on the circle at distance from . Step 6: The point is the intersection of and the right bisector of . Step 7: The triangle meets the stated conditions. According to the law of sines, the exterior angle at of is , which is . The angle is . So and . Izidor Hafner, Nada Razpet and Marko Razpet "The Plemelj Construction of a Triangle: 8"